The Student Government Association office is located on the third floor of Atherton Union. Collegian file photo. On Jan. 23, the SGA Senate approved a new constitution with a two-thirds vote. According to a press release posted on Twitter the following day, the new constitution will result in changes to SGA’s election process and organizational structure. The judicial review committee originally presented the constitution to the senate on Dec. 5. Sam Varie, SGA president, cited organizational growth and an increasing workload as the needs for the restructure. “To ensure we best serve our students, SGA cabinet knew we needed to evolve to a structure that mirrored our campus’ needs and best practices,” Varie stated in the press release. Three main changes were made with this new constitution. The new constitution separates the judicial review committee into its own judicial branch. 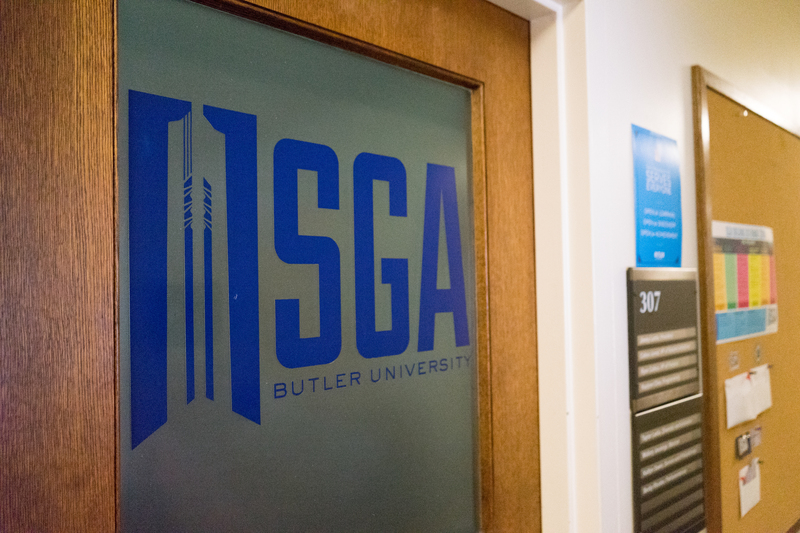 The current SGA structure includes two branches, an executive and legislative branch. Currently, the judicial review committee falls under the legislative branch. Committee members are elected by the senate. The new organizational structure will allow for more separation of powers, and resembles a form which may be more familiar to students. The three branches are structured similarly to how the U.S. government is organized. Matt Thomas is a sophomore double majoring in political science and strategic communication and the chair of SGA’s Judicial Review Committee. “Putting it in line with how government is and what [students] have grown up seeing… it’s going to definitely allow for more students to feel comfortable talking about [concerns] and even if they disagree with something, they’ll feel more comfortable bringing it to us” Thomas said. In the next election on Feb. 25, the presidential candidates for the 2019-20 academic year will run on a joint ticket with an executive vice president. This vice president will be able to attend Senate meetings in place of the president. Currently, the Student Initiatives Board is comprised of four committees: academic affairs, operations, student affairs and strategic initiatives. Each of these committees is responsible for listening to student concerns and communicating these concerns to administrators. The responsibilities of this board will now be taken over by the senate. Senate members will be organized into committees mirroring those which currently exist within the Initiatives Board. The goal is to give senators the ability to better address student concerns and implement initiatives. The new constitution will go into effect for the 2019-20 academic year.